Having supported Children’s Hospice South West for two years, Devonshire Homes has raised a total of £25,154.96. The funds will help the charity care for more than 500 families, providing respite care and short breaks, as well as emergency, palliative and end-of-life care from its three hospices in North Devon, North Somerset and Cornwall. 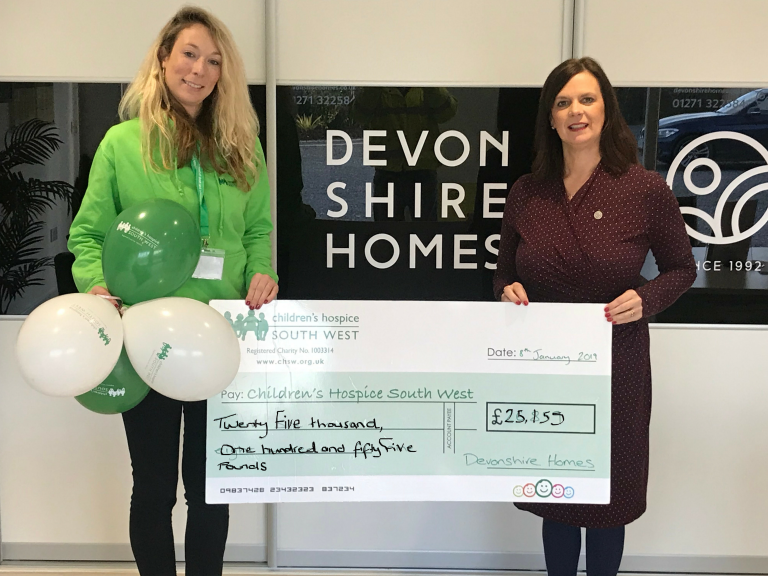 Mhairi Bass-Carruthers, Corporate Partnerships Fundraiser for Children’s Hospice South West commented: “This fantastic fundraising by Devonshire Homes will make such a big difference to Children’s Hospice South West and the families the charity supports across the South West.